Osram Opto Semiconductors has provided its IR LED and LED components to Joyson Safety Systems, a U.S. based mobile safety system provider, on its steering wheel to develop a semi-autonomous system to the new Cadillac CT6. The steering wheel equipped with the IR LED can monitor a driver’s behavior to ensure safety. Joyson Safety Systems worked with Osram to design a steering wheel with an embedded infrared camera that tracks the driver’s head position and gaze to confirm the driver’s eyes are on the road at all times. The new system, named Super Cruise, is claimed to be the first hands-free driving technology for the highway. The system will send alerts when it detects that the has driver looked away from the road for too long. 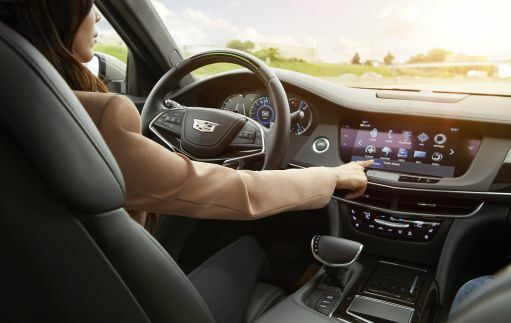 For extreme conditions such as when a driver becomes unresponsive, the Cadillac CT6 would utilize the full capability of onboard driver assistance technologies to bring the car to a controlled stop. Osram’s Oslon Black SFH 4715S IREDs embedded in the steering wheel helps to track eye movement; meanwhile its RGB MULTILED indicates to the driver when the system operates to notify the current performing function. The LED lights turn green when the ‘Super Cruise’ system is engaged and they turn blue when the system senses the driver might not be paying attention. The red lights show when the system disengages. The LEDs also blink when the IREDs are blocked from the driver’s eyes.